What makes Montessori so specials? Toddler Community is in a secure and home-like setting with access to the porch garden and outdoor environment. For children from 15 months upwards, our Toddler Community sessions offer a minimum half day session (morning or afternoon) up to a full day. Children from 15 months to 2.5 years come together in a community atmosphere. Children develop self confidence, independence, self esteem and social participation through being part of a friendly group. The environment gives the children the freedom to move and explore, according to their inner needs, learning about the world that surrounds them as well as developing essential areas, such as communication, integration, co-ordination and motor skills. Every little detail is thought through, such as cosy corner so children can take rest when they feel they need to, little tables and chairs so children can share the experience of eating healthy snack along side their companions. With this in mind, our room and equipment are especially designed to feed and stimulate a child’s absorbent mind. 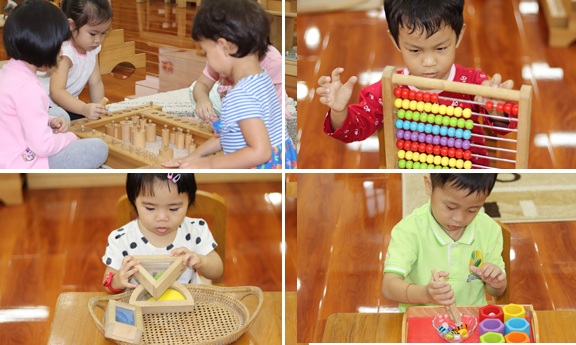 © 2015-2019 Right Start International Montessori School. All rights reserved.